The military intervention against “smugglers” bringing migrants from Libya to EU shores will set a “dangerous precedent” for the EU to unilaterally engage in hostilities and endanger innocent people’s lives, believes WikiLeaks founder Julian Assange. The comments from the famous whistleblower follow this week’s release by WikiLeaks of two classified documents revealing details of a EU plan for military intervention to curb the influx of migrants, and an information strategy to “facilitate expectation management” during such a mission. The documents outline plans to destroy vessels along the Libyan coast as well as to target transportation networks and infrastructure within Libya’s borders. Assange notes that the leaked plans have one thing in mind, and that is destroying “refugee smuggling” infrastructure, apparently including people involved. “Blowing them up, sabotaging them. 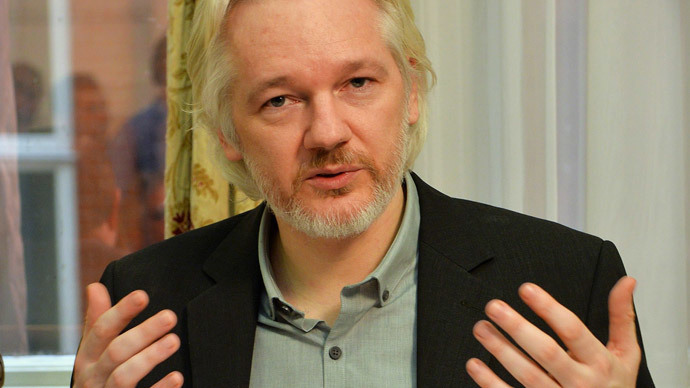 Destroying them through military means is what is specified,” Assange said. “The way that they’re talking about the people smugglers in the document is such that you have the impression that the people smugglers themselves would be a military target,” he stressed. And regarding possible collateral damage among the refugees, Assange believes the EU “may or may not” conduct surveillance operations to ensure no civilians are hit. “They may be unconcerned with people,” he said. “They are intending to at least risk killing people in blowing up these boats,” the whistleblower, noting the media information operations outlined in the leaked plan that aim at minimizing risks to EU reputation should anything go wrong. Assange went on to accuse European countries of making deals with the Libyan rebels following the ousting of Colonel Gaddafi in 2011. Having a physical presence on Libyan shores is just one way to secure economic deals, he says. “Now, having once established themselves on the northern shore of Libya, there’s a question about then what happens,” Assange wondered.